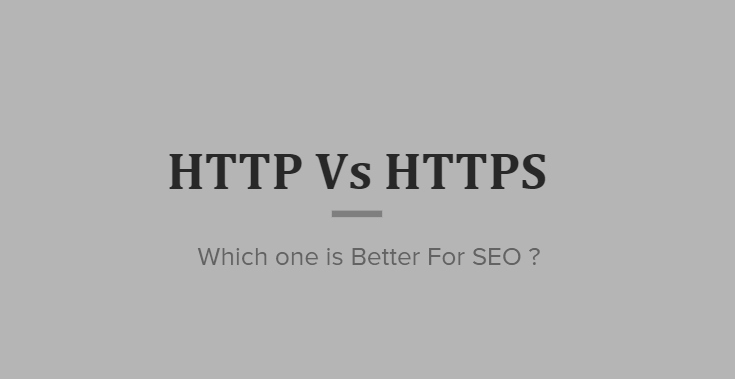 HTTP & HTTPS both are protocol which are used to transfer the data between computers and servers. Both have same task, transferring information like image, text, video, music, graphic and other files between computers and servers. HTTP stands for HyperText Transfer Protocol. HTTP is a client-server protocol. It uses TCP (Transmission Control Protocol) which is reliable transport to transfer the information. HTTP is basically used to access html pages and also other resources can be accessible using HTTP. HTTP Server is implemented by Apache HTTP server, Microsoft IIS, Zope, etc. The HyperText Transfer Protocol is an application layer protocol which transfers the data to the users but it does not care about how the data is going on? HTTP is insecure as there is no encryption method for it. HTTPS stands for Secure HyperText Transfer Protocol. It adds security layer in place of TLS/SSL. The communication between user and server happen same as in HTTP but it contains security channel. SSL acts as a sub layer under regular HTTP application layering. In URLs Https:// indicates that the connection between client and browser is encrypted using SSL. SSL : Secure Sockets Layer is the standard security for establishing an encrypted link between a web server and a browser. If you are running any online store which uses online transaction you must use https or SSL. HTTPS offers Privacy, Integrity & Authentication. Now Google is counting https as ranking factor and giving more preferences than http using website. Google has announced that going HTTPS — adding a SSL certificate on your site — will give you a minor ranking boost.